Undersize Patriots receiver makes history as Super Bowl MVP. After Sunday’s Super Bowl, the book needs a new chapter: the brainy and brawny Julian Edelman, the New England Patriots leading receiver, became the first Jewish player in NFL history to win the game’s Most Valuable Player award. With Popeye-size biceps, a bushy “mountain man” beard and black, anti-glare grease smeared under his eyes, the undersized Edelman (he’s 5-10) was dubbed by quarterback Tom Brady earlier in the playoff as “mentally and physically as tough as anyone who has played for the Patriots.” He caught 10 catches for 141 yards in the Patriots 13-3 victory of the Los Angeles Rams. Edelman, 32, who has embraced his Jewishness more fully in recent years, was cheered halfway across the world in Israel. “The first Jewish Super Bowl MVP,” the Jerusalem Post declared. 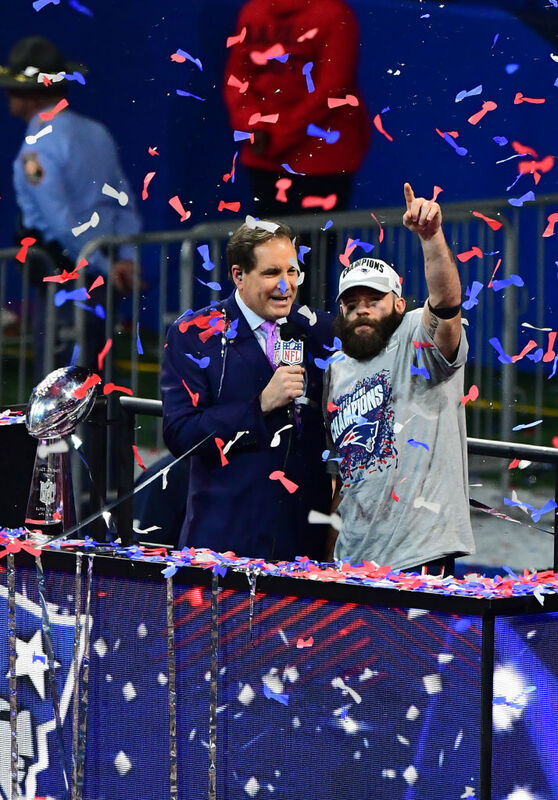 A “gridiron Maccabee,” Ron Dermer, Israel’s ambassador to the United State, wrote of Edelman in a congratulatory tweet a few hours after the game, reaching back to some tough Jews of yesteryear. While most members of the professions-oriented Jewish community pay less attention to Jewish athletes’ religious identity than in past years, when success in sports was one measure of an immigrant community “making it” in America, Edelman stands out for two reasons, said Jeffrey Gurock, a professor of American Jewish history at Yeshiva University and an expert on Jews in sports. 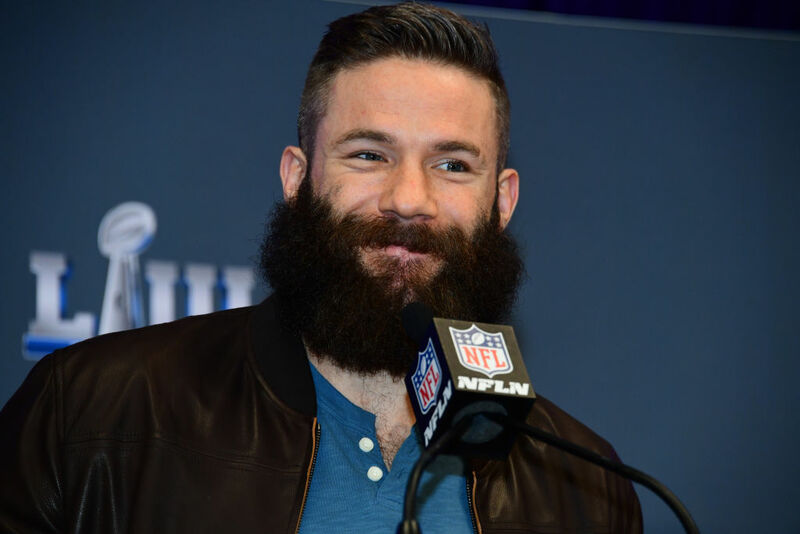 Edelman is an exceptionally talented athlete, and he wears his Jewishness on his sleeve – or at least on his shoes. Last year, after the killing of 11 worshippers during Shabbat morning services at Pittsburgh’s Tree of Life synagogue, he tweeted his sympathy and the names of the victims, wore an Israeli baseball cap on the sidelines, and special cleats with Hebrew on them during a game to honor the shooting victims. Edelman, a native of Redwood City, Calif., who played college ball at Kent State University, is typical of his generation, born in an interfaith family (Jewish on his father’s side) and raised with no religious upbringing. Early in his decade-long NFL career he deflected questions about his religious affiliation but began publicly identifying as Jewish in his breakout 2013 season. In subsequent years he went on a Birthright Israel-style trip to the Jewish state, wore an Israeli flag pin, tweeted about Jewish holidays, and wrote a children’s book that includes references to Zionism founder Theodor Herzl. After serving a four-game suspension at the start of this season for violating the NFL’s policy on performance-enhancing substances, he finished the regular season with 74 catches for 850 yards. A clutch performer in the post-season playoffs, Edelman, who was out for the season last year with a torn knee ligament, has made the second-most playoff receptions of all time. Several Jewish publications this week asked if Edelman is the best Jewish NFLer ever, a group that includes Sid Luckman, a superstar quarterback in the 1940s, and Ron Mix, an offensive lineman in the Hall of Fame. Edelman ranks with Los Angeles Dodgers pitchers Larry Sherry and Sandy Koufax, MVP winners in 1959 and 1963 and 1965 respectively, as the only Jewish athletes to win a playoff game or series MVP award in North America’s four major team sports.